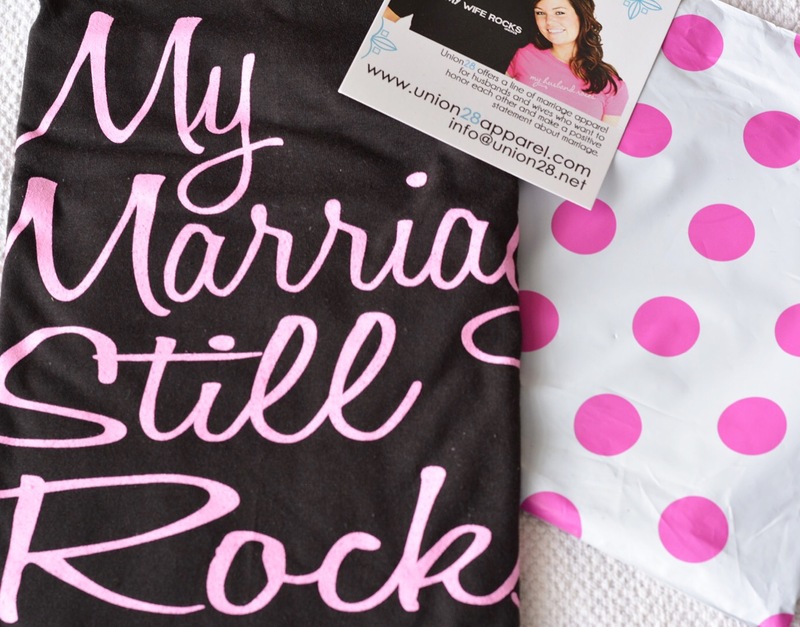 Union28 Marriage Apparel is a family owned shop that designs and sells fabulous shirts with encouraging messages for husbands and wives (kids too!). 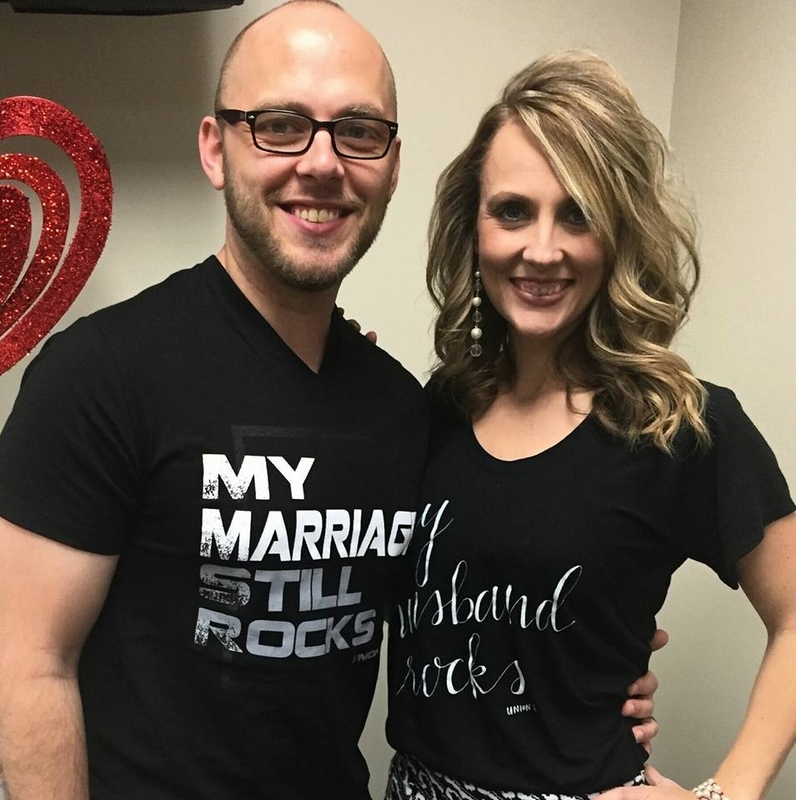 I love their graphic tees and how they shine a positive light on marriage. I had a fun Q&A session with owner, Jaclyn, and I’m sure you’ll love this Small Shop Spotlight! My husband and I have been married for almost 10 years (in August!). We moved to Houston from Minnesota in 2008 for my husband’s job as an air traffic controller. I continued to teach high school Spanish until I had my first son. Matt and I love coffee dates! We love to check out new coffee shops and restaurants. That’s a little harder to do now with 4 kids but we find time! We are also the directors of the ESL program (English as a Second Language) at our church. It is our mission field right here in Houston and we love it! 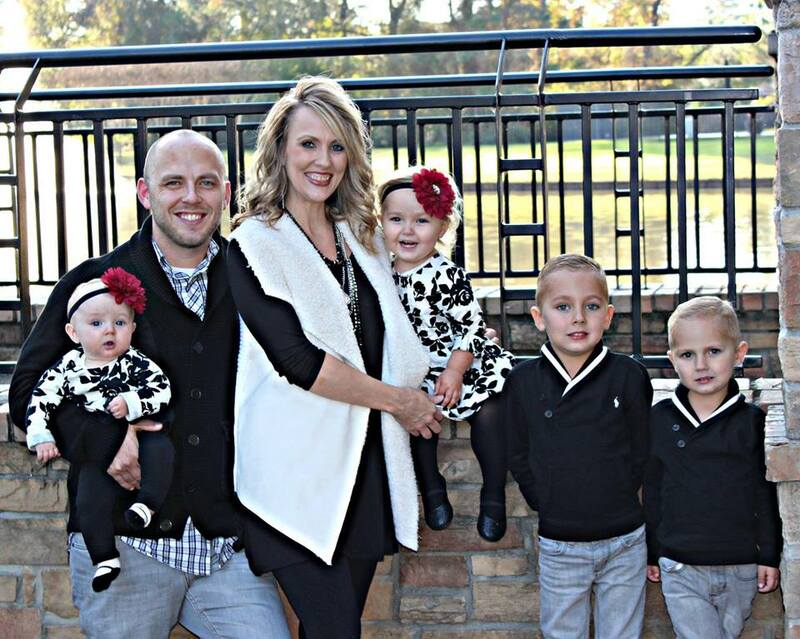 We have four kids: Carter (5) Carson (4) Kinley (2) Kennedy (9 months) The boys are active in soccer and baseball. They are always on the move! Kinley is the resident girlie girl who loves dressing up, painting nails and playing with dollies. Kennedy takes it all in and is very entertained by her older siblings. The girls are in the office with me the most! Kinley is in charge of making sure everything is folded correctly and if not, she rips it off the shelf and demands it be done better! Kennedy prefers to sit on my lap while I answer emails or work on designs. The business was actually started by my friend in 2007. 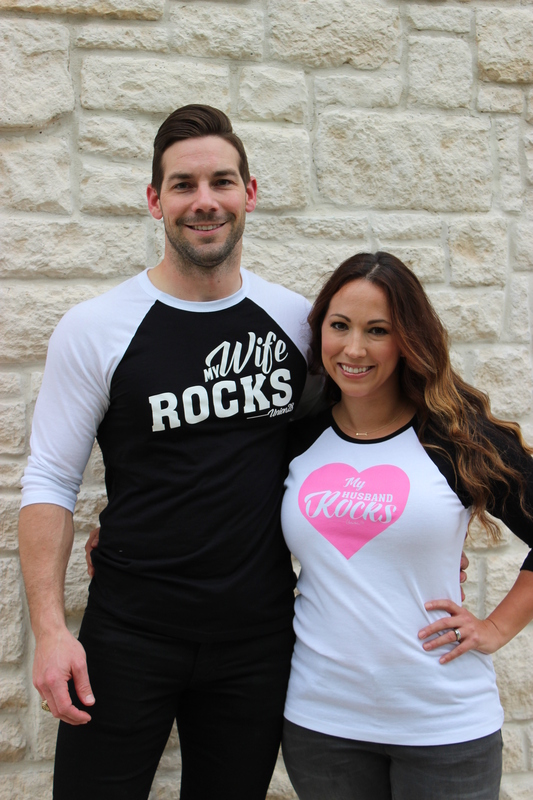 She made a shirt for her anniversary that said My Husband Rocks and got so many compliments when she wore it that she decided to start a marriage apparel business. It started with just one design and color for My Husband Rocks and one design and color for My Wife Rocks. She grew the business each year! I ran the business for her in 2010 for 9 months when she and her husband lived in Brazil. I learned a lot about running the business. So when she told me last February that she was going to sell the business because they were going back to Brazil for at least a couple of years, I immediately desired to buy it! My husband, however, wasn’t as excited at first!  I mean, we were already very busy with our commitments at church and about to have our 4th baby! We talked about it, prayed about it and eventually went for it. February 12th, 2015 it was officially ours! It has been a wild ride and so much to learn. I basically had the birth of 2 babies last year- a business and a sweet baby girl! I run the business out of my home and do everything from the accounting (remember, I’m a Spanish teacher by trade! – that has been a learning process!!! ), to website maintenance, to folding every single shirt, to answering every single email. Since buying the business we’ve redone the website and have come out with 9 new women’s designs, two men’s designs and 2 kid’s designs. It was a busy year for us! 3. What or who inspires you as you create new designs? I think the desire to put our own fingerprint, our own mark, on Union28 inspires us to come out with new designs. I love what my friend did but now that it is our business we want to have our name on it. But ultimately, marriage and the marriage relationship inspires us! It is our mission to encourage marriage relationships, to communicate a positive image of marriage and to honor the sanctity of the marriage covenant between a husband and his wife in a fun and stylish way! We say, “Celebrate your spouse in style!” I’ve received some fun emails about the reactions of a husband when his wife wears her shirt! Those who wear their “My Husband Takes Good Care of Me” tee while they were battling cancer. Or another woman (ok, my mom!) excitedly wearing her My Husband Rocks shirt when my dad, at 55, graduated from college with honors! When I sell at conferences (I’m at all the Hearts at Home and MOPS conferences! Come see me! ), it’s fun to see the ladies excited to return home wearing their shirts for their husbands! Especially since most of the husbands are at home taking care of the kids while their wives are enjoying a weekend of being refreshed! One particular woman texted her husband a picture of her in a shirt and she excitedly came back to say that he really wanted a shirt as well! Not long ago one of our followers shared a picture of her husband in his My Wife Rocks shirt when she had her baby! (My husband did the same thing and the nurses go crazy over that!!) Perhaps the most exciting was last year when a group of 33 women decided to secretly buy Union28 shirts and show up at church wearing them for Father’s Day! The men went crazy! That was a highlight from last year! I could go on and on about stories like these. These are the stories that motivate me! 4. Do you have a favorite? If so, what makes it so special to you? I think my favorite design/apparel we came out with has been our sweat suit! It got the greatest response from customers and that was so exciting! 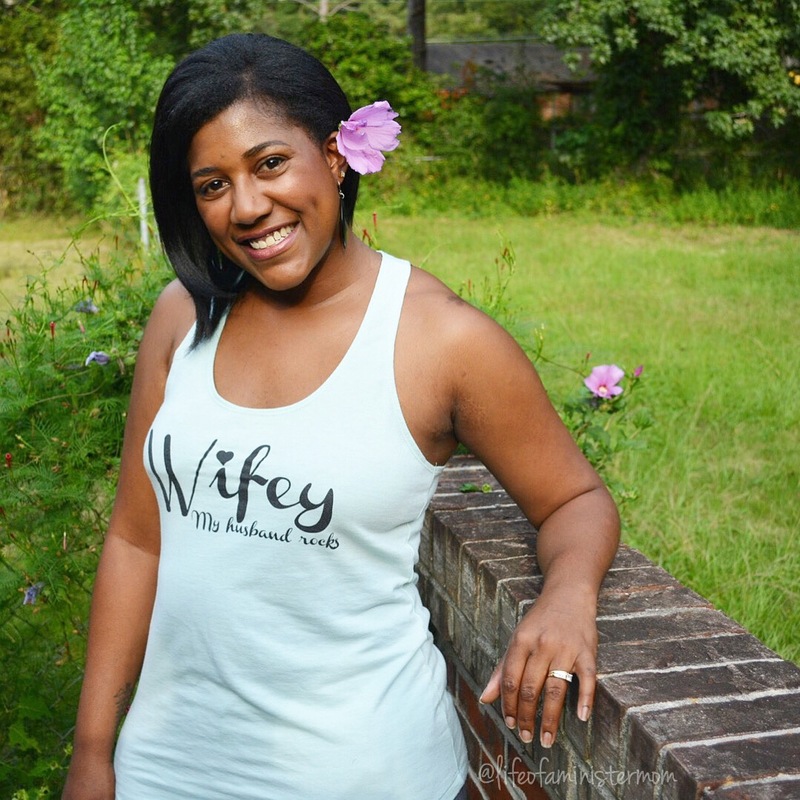 Maybe the most special was our Wifey tank because it was the very first thing we designed together after buying the business! The response to that was also amazing! It can be stressful coming out with new stuff because we just don’t know if it will be popular or if people will love it as much as we do! 5. What’s your favorite part about being a small shop owner? I think that being a small shop owner can definitely be a challenge, but it is so rewarding! The fact that we get to make all the decisions and deciding factors in things is fun! It is also a lot of work because essentially, we are the “corporate office!” We create from start to finish. There are many steps in the process that go in to coming out with new designs and styles and it’s hard for people to grasp that. I think that a lot of people just think, “oh, it must be so fun to have your own business and make shirts.” Well, yes, it is, but there’s a lot of blood, sweat and tears that go into it as well. (Tears from mom and tears from kids!) There have been many late nights followed by early mornings trying to get things right and get things ready to release. So I think the fact that there’s so much work that goes into it makes it so much more rewarding in the end. There’s pride in business ownership. I’m such a fan of this shop and the heart behind it!! Follow U28 Marriage Apparel on Instagram for deals, announcements and Marriage Tip Monday’s. Click here for happy shopping!! Thanks for for your support and reading friends! Fun and Fabulous: Alexandra Turns Four! Thanks! And I couldn’t agree more! They really are a wonderful company and I’ve actually won a couple of their shirts myself so I’m excited to spread the love! 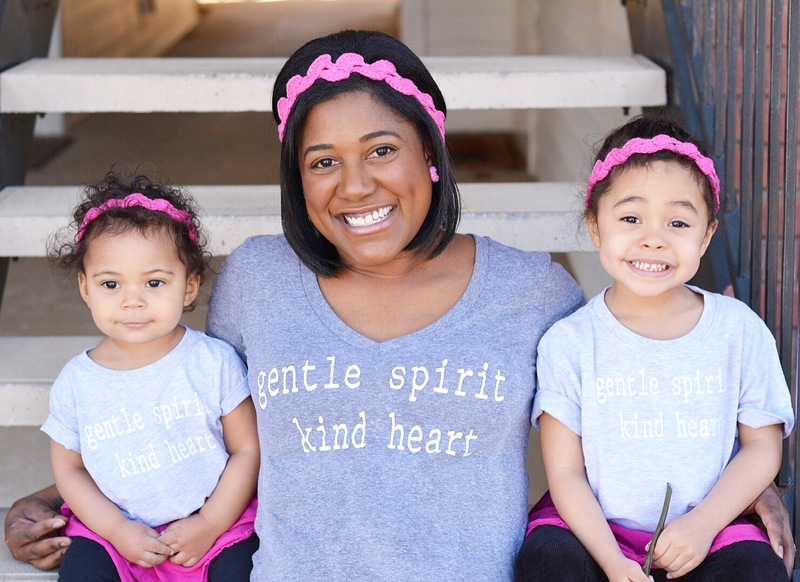 These are great shirts and such a sweet family! They really are. Thanks for joining in the fun! We just got married and I would love to get these shirts! Love thei stuff so much! Really hoping to win the give away! Amazing blog! This company is really cute! Love the tees! Would love to win one! I love what I’m reading about this company. So completely awesome how they are fighting for the importance of marriage with super cute tees! Yes!! I believe their heart for marriage ministry is what sets them apart! !